Adam Smith has earned himself a damn fine reputation with his short films, music video's and television work. Formerly of the acclaimed visuals duo Vegetable Vision, Adam has also worked with the credible Black Dog Films and of course Flat Nose George. This Month, we had the pleasure of experiencing Adam Smith's latest directing challenge. Adam was invited to a meeting last year to join the crew of Doctor Who. 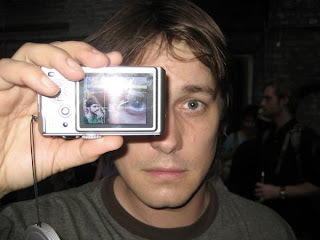 Adam is famous for his visionary talent and documentary style narrative's, he has a clever way with story-telling as can be seen in so many of the music video's he has directed. Adam Smith's work is eccentric, thought-provoking, addictive and very skillful. 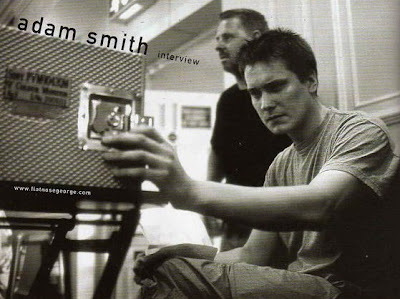 Adam Smith has directed music video's for such notable artists as The Streets ('Give My Lighter Back', 'Too Much Brandy', 'All Got Our Runnings', 'Banquet' - Bloc Party Remix, 'Don't Mug Yourself', 'Never Went To Church', 'The Irony Of It All', 'When You Wasn't Famous', 'Fit But You Know It - Remix with Guest MC's' and the highly acclaimed 'Blinded By The Lights' which Mike Skinner insisted Adam Smith must Direct.) Chemical Brothers ('We Are The Night Tour Visuals' and 'Galvanize'), Lady Sovereign, ('9-5'), Jamie T ('sheila'), North of Ping (What Goes Up (Must Come Down) with Kathy Burke, Wiley ('Wot Do U Call It? '), Goldie Looking Chain ('Guns Don't Kill People - Rappers Do' and 'You Knows I Love You'), Madness ('Devil Dust'). Londoner, Adam Smith is not only one of life's great observers, he has a true talent for going away with his observation and turning it into a magnificent visuality. I figured Adam Smith must have gone through some vigorous training and nurturing since school to have acquired his status today, but it would seem this young master of his trade had other ideas. Addolorata : Lets get to know you from the start, what do you remember as being your greatest interest as a child? Adam Smith : A wide range of interests which kept changing. Constant was an interest in images. Addolorata : What fashion images and music was you into as a teenager? Addolorata : Did you you enjoy school? What was you like as a pupil? Addolorata : What happened after school, did you go to college? University? Addolorata : What qualifications did you leave with? Addolorata : What inspired you to be a director? Addolorata : Who is your favourite director and why? Addolorata : You directed the Channel 4 TV 'Skins' and more recently, you raised your profile as Doctor Who newcomer, directing 3 episodes including the highly praised 2 part 'Time of Angels' with the 11th Doctor Matt Smith. The BBC asked you to a meeting with Steven Moffat and Piers Wenger, did you know at this stage what the meeting was for? How did you feel when you knew you was going to be directing Doctor Who? Adam Smith : It was a meeting for Dr Who.They had sent me the script to read which is what the meeting was about. Addolorata : What was the hardest challenge? Adam Smith : There were loads of challenges. Quite scary to be doing all the CG stuff which I had not shot before.The schedule was the hardest part because the scripts are so ambitious. Addolorata : You gave us viewers a memorable experience with your direction skills, but what did you take away with you from your experience of directing Doctor Who? Adam Smith : I learnt so much about working on a project of that scale, working with CG & practical effects. 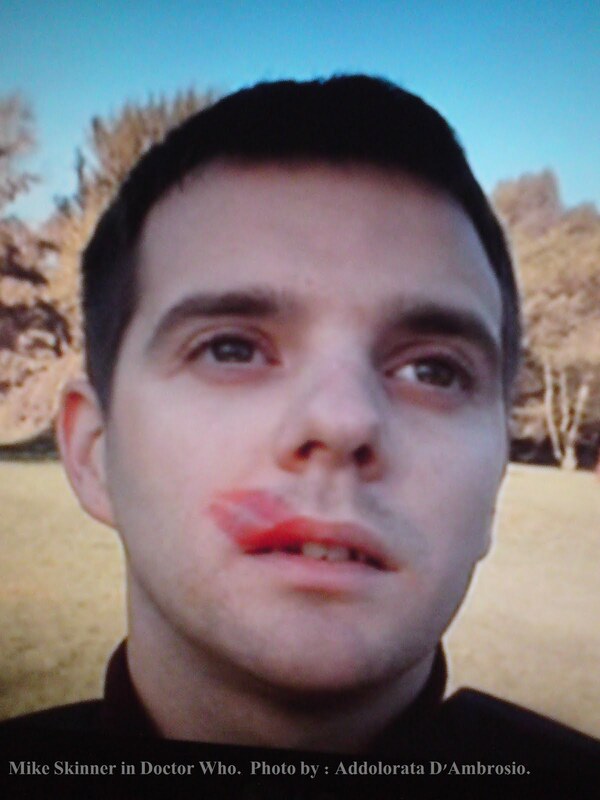 Addolorata : In the opening scene of 'Time Of Angels' we saw Mike Skinner's debut cameo role as the security guard who had been the victim of River Songs Hallucinogenic lipstick kiss. How did Mike get involved in Doctor Who? Addolorata : Was it good to be working with Mike again? Adam Smith : Lovely as always. Addolorata : Where was Mike's scene filmed? Adam Smith : In a park in Cardiff and on a set. Addolorata : What was the technique used for Mike's scene? at first he is seen turning around and around in circles in the middle of nowhere and then the background is spinning while he is stationary, it was captivating to watch, please explain? Adam Smith : Camera mount which is attached to him. Used brilliantly in the film Mean Streets and ripped off by many (including me a lot) ever since. Addolorata : What happened to the security guard (Mike Skinner) He didn't get shot or anything did he? Addolorata : Hahaha, that's a nice thought, I will keep that one with me. 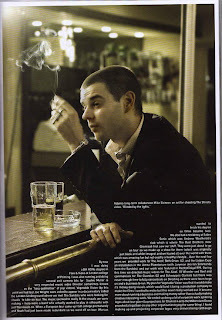 You are a well known name to The Streets fans through Beat Stevie and directing The Streets video's such as Never went to Church, The Irony Of It All, When You Wasn't Famous and most notably the highly acclaimed video Blinded By The Lights. 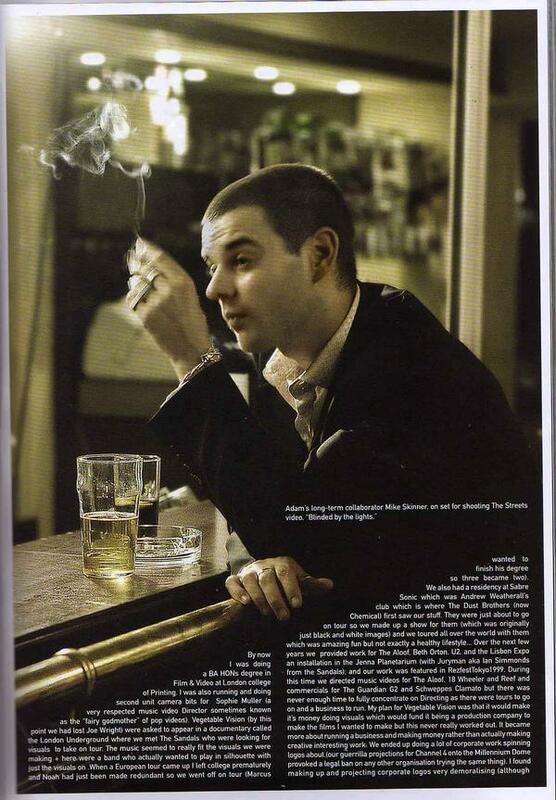 How did you first meet Mike Skinner? Addolorata : Mike Skinner has spoken about making a film after the fifth and final Streets album, do you have anymore work planned in the near future with him? Adam Smith : We have spoken about ideas but just ideas. Addolorata : What would you say is the most enjoyable piece of work you have done in your career so far? Addolorata : What advice would you give to anyone hoping to become successful directors of the future? Addolorata : If you wasn't a director, what do you think you might have been? Addolorata : .... that reminds me of a Skinner lyric "You are never nothing if you didn't dissapear". What is next in the pipeline for you? Adam Smith : A few film projects bubbling away. Chemical Brothers visual show at the roundhouse next week is the most pressing! Adam, you are a visionary talent of our time and real pleasure to interview. Thank you. Akala's New Album "DoubleThink" is Out Now! iTunes number 1 album in the Hip Hop charts "DoubleThink" Released 3rd May 2010 on Illa State Records by one of London's greatest Hip Hop leaders Akala is relevent quality, this is not your average Hip Hop album by any means with a combination of fierce views, energy rock injections in Thick Skin, gorgeous piano pieces and really beautiful intro, interlude, outro's. Songs that you will feel you have to listen to rather than just idly going through the motions. DoubleThink is the perfect title for this album because it contains lyrics that will literally make you Double Think. I really feel drawn the the more beautiful tones I can hear between the lyrics even when the words are powerful it is healing such as in Find No Enemy. This is the standard you should expect from Kingslee 'Akala' Daley. He is only 26 and yet he is fearless in giving what he believes in, delivering his original experiments accross multiple genres with ultimate precision. 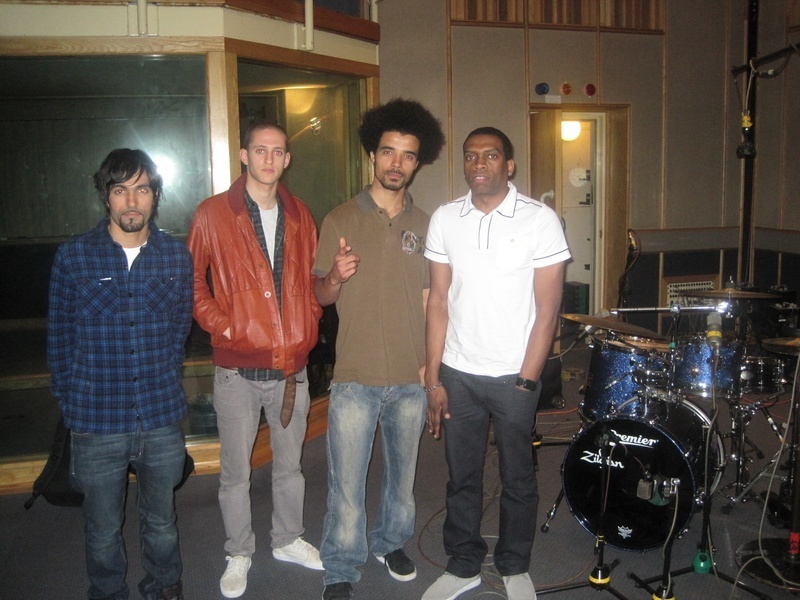 Credits are also well earned by Akala's multi-talented drummer Cassell “The Beatmaker” who is a LikeTheSound favourite for his work with The Streets and Plan B to name but few. Listen out for my personal favourites Faceless People, Psycho and Find No Enemy. The AA's (African Alliance) is a collective of rappers, producers and young entrepreneurs based in Manchester, UK. They released their first single, off The Emergence experiment mixtape, Hustlaz anthem in late 2007 which was widely received in the UK Urban underground scene. The AA's new single Fever is doing very well on the radio and has just reached number 2 in the Peacefm 90.1 Chart. Fever is the first single from their upcoming album, The emergence. LikeTheSound's entertainment area is still out of bounds while we are drying the foundations and flooring out after a massive leak. With the downstairs flooring up, dehumidifiers, heaters and air conditioners everywhere, it's noisy and a mess but I think we are getting there. The video I wanted to do for day 7 of The Streets Appreciation week isn't going to happen I'm sorry to say, but I found something today that overly deserves this spot. 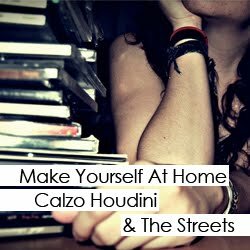 Make Yourself at Home is a new remix of original tunes by Calzo Houdini and The Streets. I'm a big fan of Calzo Houdini's work and this mix is right up there with his classics. As well as Mike Skinner and The Streets, packed into this tasty mix you will also find Ted Mayhem and Giggs. I always find with Calzo Houdini mixes, there's a bit in there that is so wonderful I could easily obsess over it. Play the last 48 seconds of Make Yourself at Home and you'll know what I'm on about. Great work Callum, thank you very much for the enjoyment.